It has been a busy Wednesday and my work day is winding down but before I leave the office I wanted to announce a new repair! We are now offering the Kindle Fire HD 7″ Battery Replacement Service. This is for the newer HD version of the 7″ Kindle Fire. This machine has twice the speed and over three times the graphics performance of the previous generation. So, if you are having any issues with your Kindle Fire HD 7″ holding a charge or if your device won’t power on at all – this is the service for you. The best part is that we can replace the battery for only $59. Once we receive your device, a certified technician will replace the battery with a brand new one and get your device back to you as soon as possible. To start your repair give us a call at 1-866-638-8402 or click the link below. Kindle Fire HDX 8.9″ Screen Repair Available. 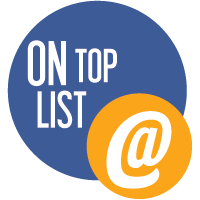 We are making history here at Mission Repair with the new services that we are adding – and Melanie our webmaster is typing as fast as she can! Today, we’re announcing the Kindle Fire HDX 8.9″ Screen Repairs and are taking orders immediately. You might recall a few days ago that we launched the Kindle Fire HDX 7″ Screen Repairs and we have been taking repair service orders steadily. Just as you might have expected, we’ve expanded our HDX Repairs to the 8.9″ Model as well. We have more news coming soon from the repair center that you’ve known and trusted for years. I’ll be back soon. Hello friends- I’ve found myself using my Kindle to read more and more lately. Today, Amazon officially released “Kindle Unlimited” which allows the customer to enjoy unlimited access to over 600,000 titles and thousands of audiobooks on any device for just $9.99 a month. There’s a 30-day free trial as well which is really nice! Don’t worry Dandra, I already signed us up. Amazon is giving you the freedom to explore through reading with their new program. 600,000 titles. Tons of options. I’m in – I thought that I’d pass this along. Is Your Kindle Fire Not Charging? One of the main problems you will encounter with your Kindle Fire is a damaged charging port. This will cause your once mighty reading device to become useless in a matter of hours. Once that charging port is knocked loose, the countdown to a fully drained battery begins. Mission Repair can fix this issue quickly and will get you back to Harry Potter in no time! With our Kindle Fire Charging Port Replacement Service, will remove your old and broken micro USB connector and solder on a brand new port. This will allow you to once again charge your battery and boot your Kindle Fire back to life! We are experts at this and we have thousands of happy customers that can now use their Kindle Fire without racing against their battery life to finish browsing the net or playing their favorite game! So if you are in need of this incredible and inexpensive service, give us a call or click the above link to get your repair started! With the success of our Kindle Fire repairs, we are now offering Kindle Fire HD services. Hello everyone, we’ve got a lot happening here at Mission Repair – and we are happy to announce the launch of our newest service for the Kindle Fire HD. We’ve got a supply of brand new ports inbound to our location, and if you’re one of the many customers that have an issue with the port on your Kindle Fire, then this service could be just what you are looking for! Once it stops charging – it’s time to call 866-638-8402. We’ve repaired literally thousands of Kindle Fire (Non-HD version) units in the last year – and it continues to be a prominent service for us here at Mission Repair. And like the Kindle Fire, we will receive your failing device, disassemble it, remove the broken charging port and install a new one. This will get your expensive device back up and operational again. If you need this repair for your Kindle Fire, click here. If you need this repair for your Kindle Fire HD, click here. Any questions? Let’s get your device back to normal for you. Price Drop: Kindle Fire Glass Screen Repair Service! The Kindle Fire is what you could call an “oldie” in the tablet world. Released in November of 2011, it now has some age to it. However, don’t let this word “age” fool you! The Kindle Fire is still a seriously capable device that is still putting a lot of its new competition to shame and is still a “goodie”! Like I have said before, you can always tell the good devices by the willingness of it’s owner to repair it… and let me tell you, people are willing to repair the Kindle Fire without hesitation. Be it the charging port, a casing part or the most common issue, A cracked glass screen, folks from around the country are keeping these little guys up and running! Today we are giving you even more reason to keep your Kindle Fire and not pay hundreds of $ on a brand new tablet. 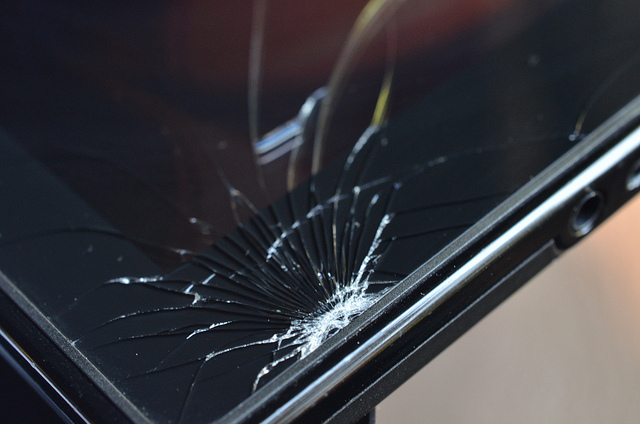 Starting this very second, we are lowering the price of our Kindle Fire Glass Screen Repair Service by $20.00! Thats right, It is now only $89.00 to have the cracked glass on your Kindle Fire, replaces with a brand new, shard free piece of glass! You can now regain the touch function on your Kindle that you so desire and still have enough cash left over to buy a few books. This is a deal that is just too good to pass up! The best part, these prices aren’t going anywhere. as this is now the everyday price of the Kindle Fire Glass Screen Repair Service and not a limited run special! Remember, never hesitate to call with any comments, questions or concerns at 866-638-8402. Also, keep your eyes peeled for a big announcement from Ryan today!